Manama i Bahrain har inte mycket att erbjuda den handfull resenärer som hittar hit: Vägar och några shopping malls - that´s it. Foto: Anders Thorsell. Manama is the capital and largest city of Bahrain, with an approximate population of 155,000 people. 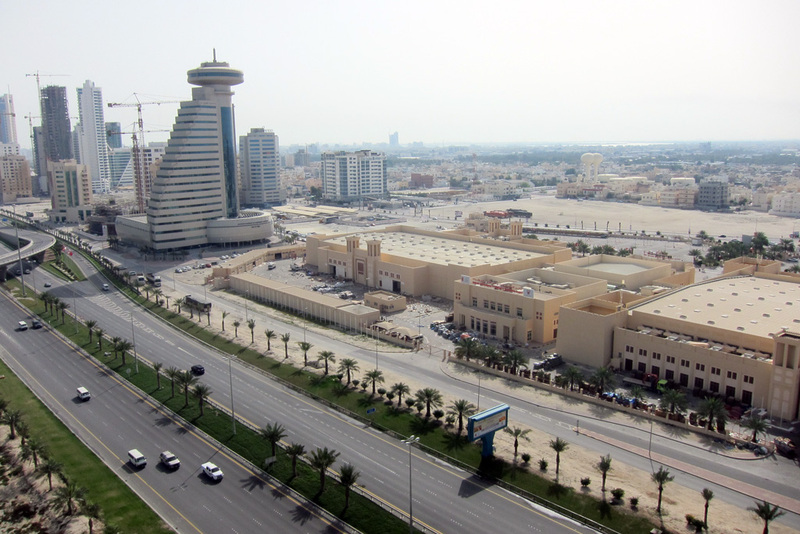 Long an important trading center in the Persian Gulf, Manama is home to a very diverse population. After periods of Portuguese and Persian control and invasions from the Al Sauds and Oman, Bahrain established itself as an independent nation during the 19th century period of British hegemony. In the 20th century, Bahrain's oil wealth helped spur fast growth and in the 1990s a concerted diversification effort lead to expansion in other industries and helped transform Manama into an important financial hub in the Middle East.